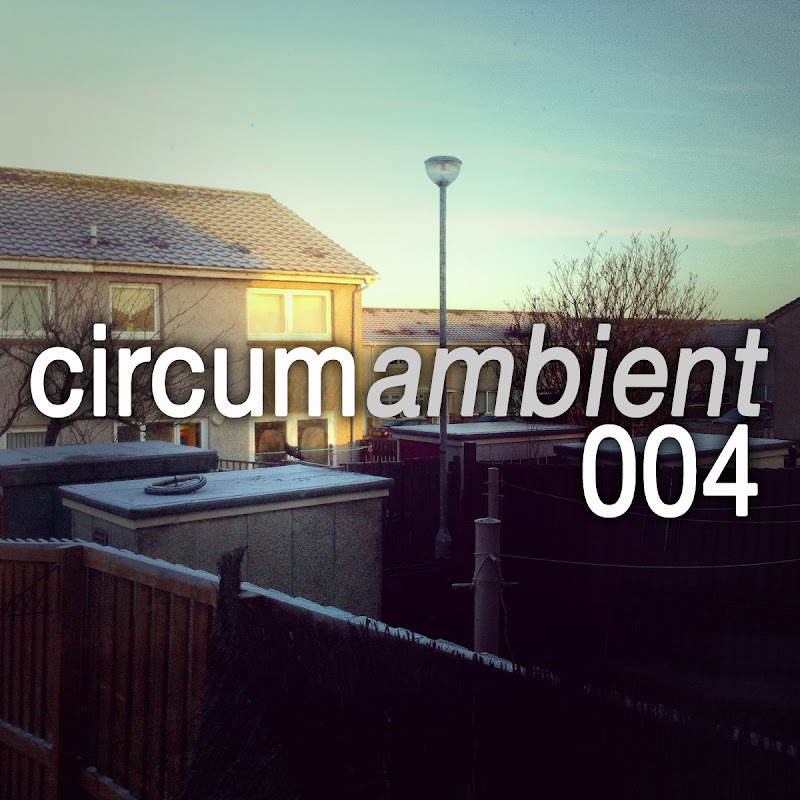 Welcome to the fourth edition of circumambient... a regular exploration of all-encompassing and immersive music. 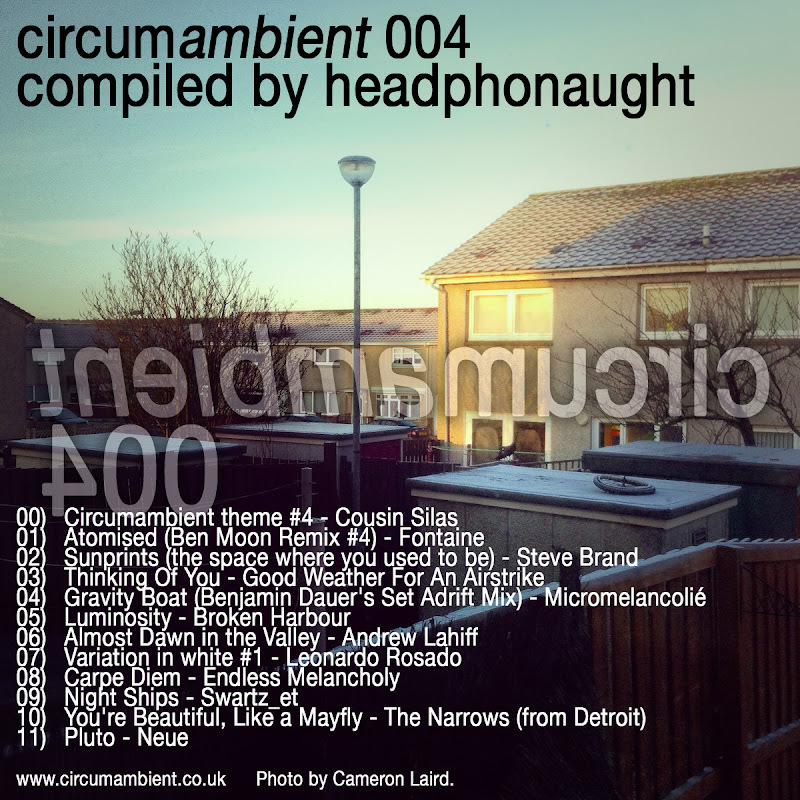 In this episode, we hear from Fontaine remixed by Ben Moon, Steve Brand, Good Weather For An Airstrike, Micromelancolie remixed by Benjamin Dauer, Broken Harbour, Andrew Lahiff, Leonardo Rosado, Endless Melancholy, Swartz et, The Narrows (from Detroit) and Neue. The output from Twice Removed and Relaxed Machinery continues to impress me ... and they both feature heavily on this podcast ... as do self-released tracks. Independent music has never sounded this good. I'm also grateful to my dear friend Cameron Laird whose photo graces the cover of this edition ... Instagram is an awesome resource. hmm did something go wrong in the encoding process? it seems like everything is in mono..
Hey Travis... thanks for your comment. I wasn't aware there were any problems. Downloaded a version and its working fine for me. Haven't heard from anyone else that there's a problem. Sorry for any hassle, mate ... but it was encoding in stereo with GarageBand ... unless I'm missing something.